Pacos Tacos – Eastland | ohdenny. Pacos Tacos in Eastland’s Town Square is their second store in Melbourne, with their first located on Bourke Street in the CBD. However, their Eastland store has a slightly different menu with a smaller focus on cocktails and sharing dishes and a larger focus on main meals and entrees but both stores offering their range of tacos options. 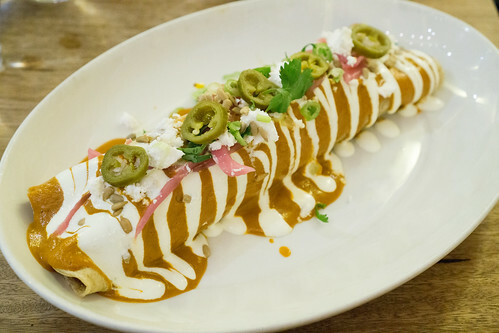 Their Enchilada comes with BBQ chicken, brown rice, red mole, cheese, sour cream, and jalapenos. It’s quite a decent feed, and the combination of ingredients makes for a tasty enchilada. It just needed a few more jalapenos to make it pop. Pacos Tacos’ Croquetas are basically deep fried sweet corn and pickled jalapeno croquettes with a chipotle sauce. 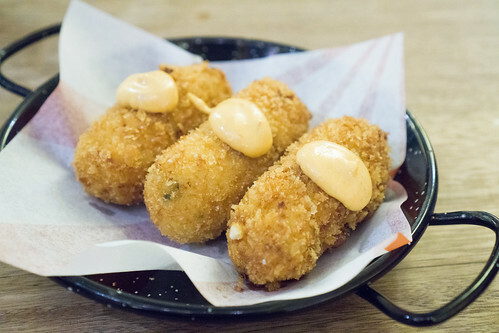 I loved these crunchy croquetas and would happily just eat a few of these and some nachos. 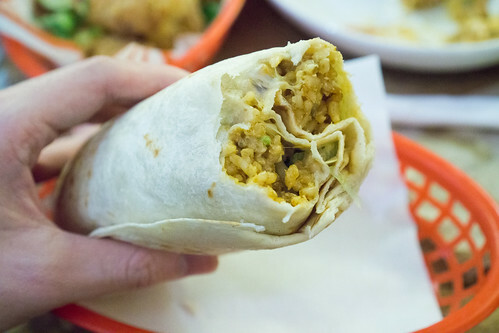 Their Burritos comes with your choice of chicken, beef or pork with brown rice, black beans, cheese, lettuce, sour cream, jalapenos and a chipotle dressing. I didn’t find the burrito to be anything special, it was nice but again needed some heat to it because it was lacking in a bit of flavour. The Pollo Frito (aka chicken wings) with a citrus and corn coating with hot sauce. 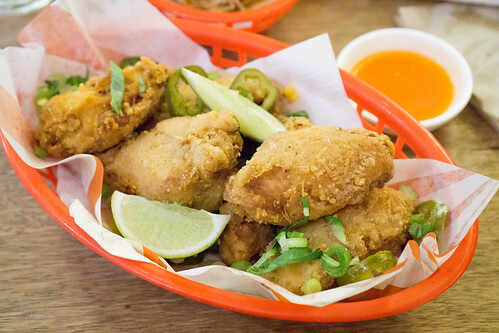 These chicken wings were crispy and moist, and the hot sauce is a nice accompaniment to the wings. Pacos Tacos in Eastland doesn’t really wow, but it does offer a good selection of Mexican dishes.